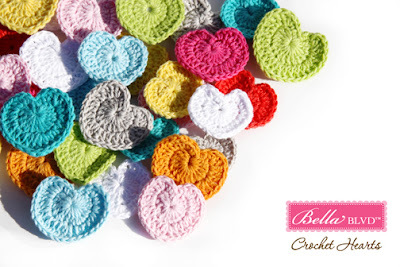 Whimsy by Shellye: Let's Peek...Crochet Hearts! some of the brand new things to come in 2013.
collections, as well as some of the coolest new embellishments! then these are a must have for you! And with hearts you can do so much more than just, well, hearts. They also make beautiful borders when they're linked together, side-by-side. to share a 'lil peek of it with you! 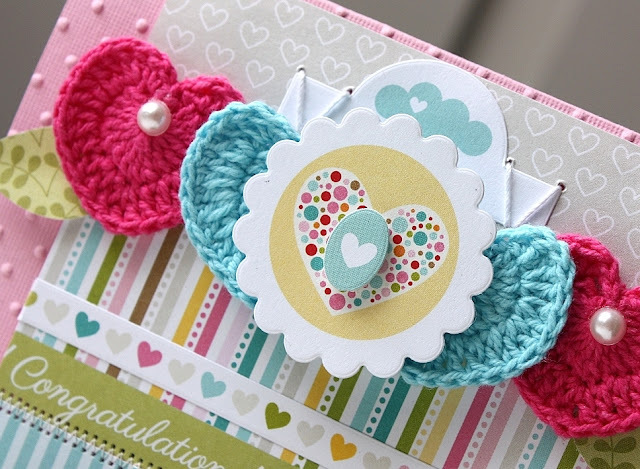 I'll be back tomorrow to share a card created with one of the new collections. 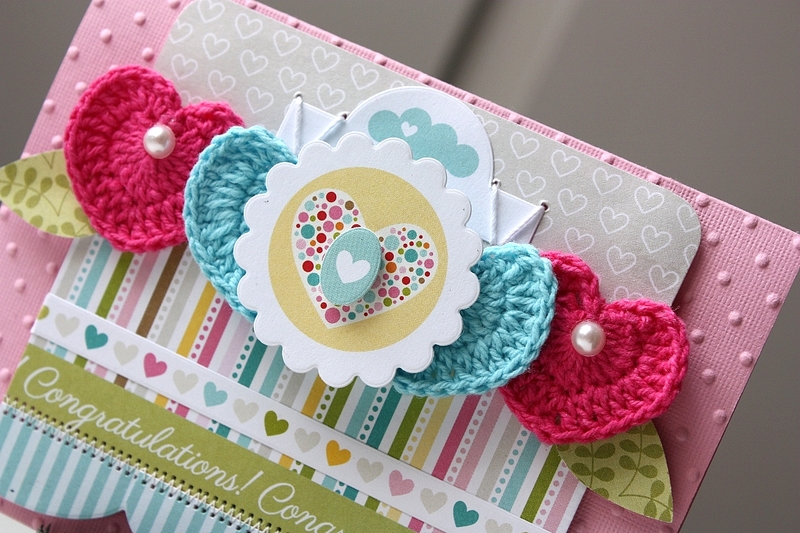 The crochet hearts are so cute and your card looks amazing!! !